The San Jose Blog: Content 5.4 Pick Up Party! Content 5.4 Pick Up Party! The latest edition of Content is going to be released this Thursday, and per tradition they will be throwing a party at a cool local venue to celebrate. This time, it will take place at ICA and include a free drink and appetizer courtesy of Cafe Stritch for subscribers (I love both these places). This also happens to be the same day as the opening celebration for the Convention Center Expansion, just a short walk away. So much going on! Our Pick Up Party is NEXT WEEK! 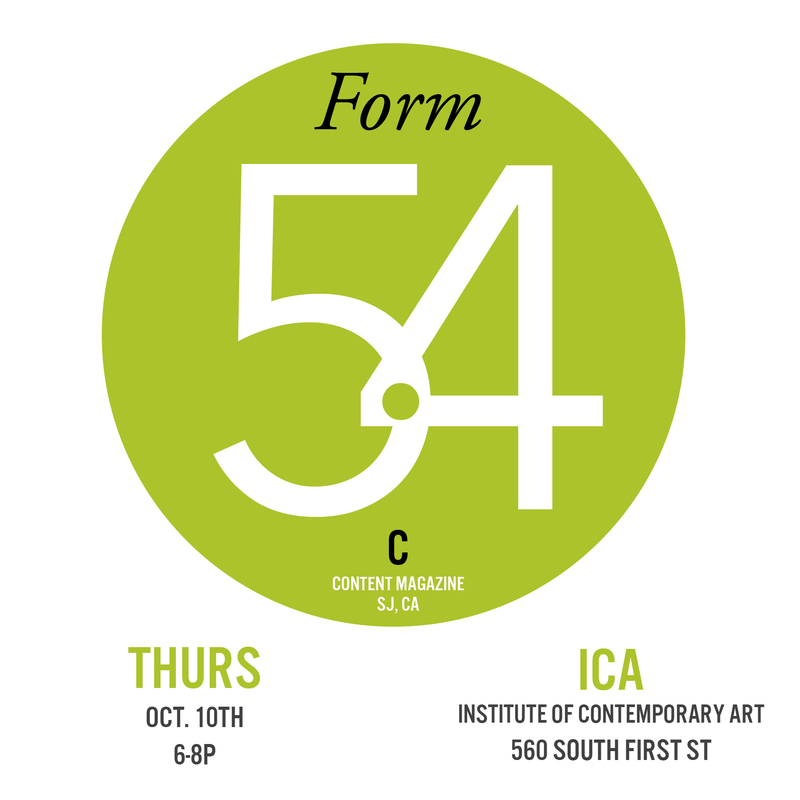 Come celebrate the release of another great issue at San Jose's ICA. Subscribers enjoy a free drink with appetizers by Cafe Stritch, pick up your magazine and meet other Content subscribers and contributors. You can also pick up a few tips and tricks about buying and collecting art. Starting at 7pm ICA curators will take you on a tour of the 33rd Annual Art Auction Exhibition that presents 200 original works in a range of mediums by California’s rising and established contemporary art stars. You’ll also get the inside scoop on navigating the upcoming Silent and Live Auction events and of course, you can bid on and buy artwork in the Silent Auction gallery. View the auction works now and listen to the artists describe their work through a free audio tour that you can access from the online gallery.